Contact | Alamo Scouts Historical Foundation, Inc.
Hello, my name is Russ Blaise. Thank you for viewing this website. I am the son of William Blaise, a member of the Alamo Scouts who served on the Sumner Team. I hope, by exploring this site, you will have a glimpse into one of World War II’s most exciting and yet least documented units. 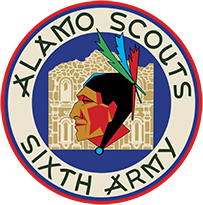 Please note: We do not give out personal contact information of Alamo Scouts or family. We ask that you respect their privacy and not ask to interview them. There are only three (3) living survivors from the Scouts. Please fill in all fields plus the QUIZ at the bottom of the page to send a message.